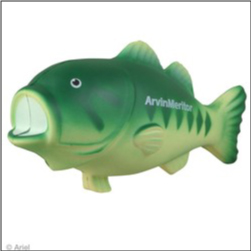 Order Custom Imprinted Bass Stress Relievers – great for marketing outdoor related businesses and non profits, events, tournaments, sporting goods, and more. A fun polyurethane stress reliever – many different shapes and objects available. Imprint area approx. 1inch x .5inch – Order your custom stress relievers today! 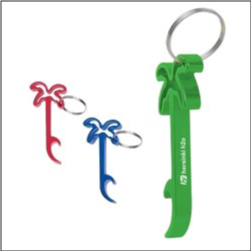 Order imprinted Custom Palm Tree Bottle Openers – great for the travel industry, events, beach related occasions, trade shows, conventions, cruise industry etc. These keyring bottle openers come in red, blue, and green, with the split ring attachment. 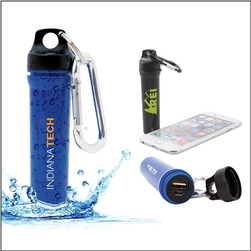 Several imprint color options – these are a great low-cost giveaway item for bars and clubs, hotels, cruise lines, travel agencies, beach resorts, and more. Order your custom keyring shaped bottle openers today! Order Printed Custom Beach Toys Sets – these toy sets include a bucket, shovel, sifter, rake, boat, and sand molds for beach or sandbox fun! 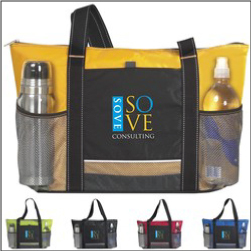 Comes in imprinted nylon mesh bag with drawstring which features the logo or brand on a large imprintable pocket. 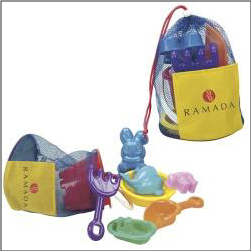 These beach toy sets are very popular with childrens events and kids businesses, family non-profits, travel and hotel related companies, and more. Every sandbox needs a set of these great beach toys! 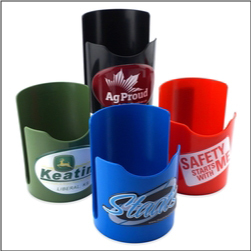 Order custom Imprinted Magnetic Cup Holders – featuring a powerful magnet that allows you to keep your favorite beverage near when working in the garage etc. Available in Black, Red, Blue, Green. Approx. 4.6 inches tall x 3.5 inches wide. Protective liner protects surfaces – great for working on vehicles, attach to cabinets, toolboxes, benches, and more. 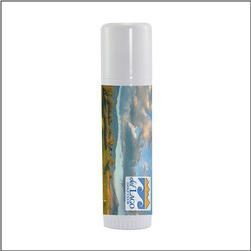 Also useful to hold spray cans of paint or lubricant, tools, or anything where a cup-holder might come in handy. 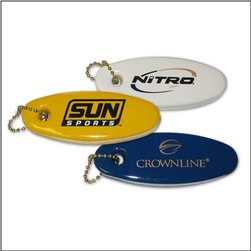 Order imprinted Custom Oval Key Floats – great for boating related sports, kayaking and canoing, rafting, outdoor services and more. Oval key floats are the standard for keeping keys safe and “floating” should they fall in the water. Vinyl coated with a ballchain. Key floats are popular with boating services, harbors, marinas, lake houses, water sport businesses, and water sports / travel trade shows, boat rentals, etc.